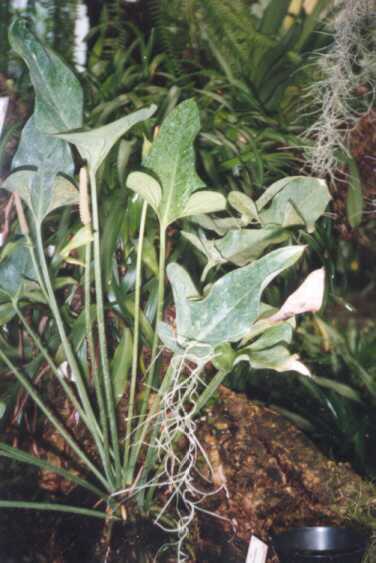 Anthurium cerrobaulense Matuda, Anales Inst. Biol. Univ. Nac. Mexico 30. 112. 1960. Type Locale:Cerro Baul, NW of Rizo de Oro near the border of Oaxaca and Chiapas in Mexico. Sectional Placement: Currently placed in section Belolonchium. Description: For a detailed description of this species please click here. Notes: Like many related species, Anth. cerrobaulense is of easy culture. This species, however, is very slow growing.